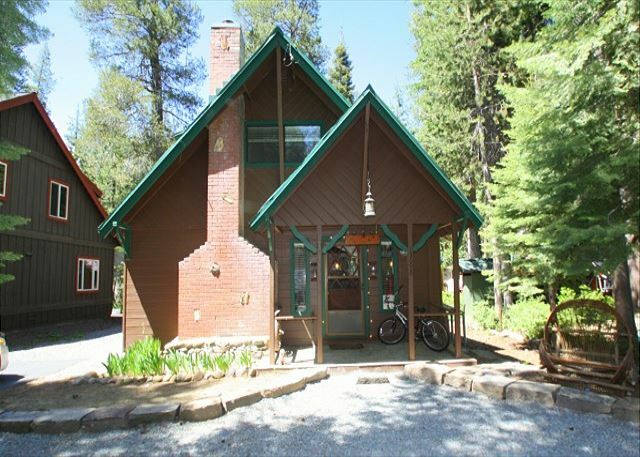 Truckee, CA United States - Ferguson 125 | Donner Lake Realty, Inc. 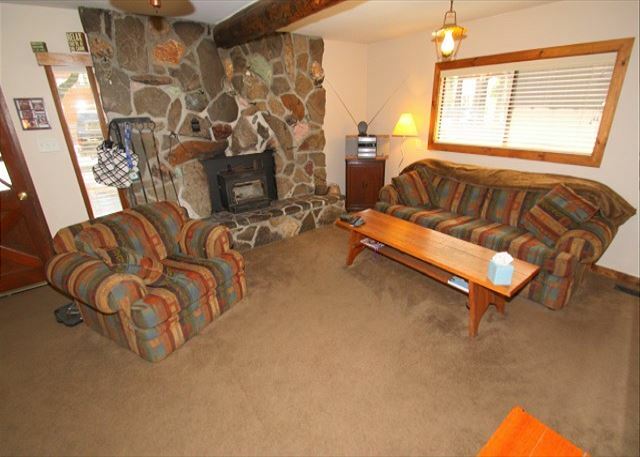 The Ferguson cabin is a 3 bedroom, 2 bath, sleeps 10 and is located on the West End of Donner Lake. Pets Negotiable for a $150 pet fee. The parking area is level and there is only one step to enter the home. 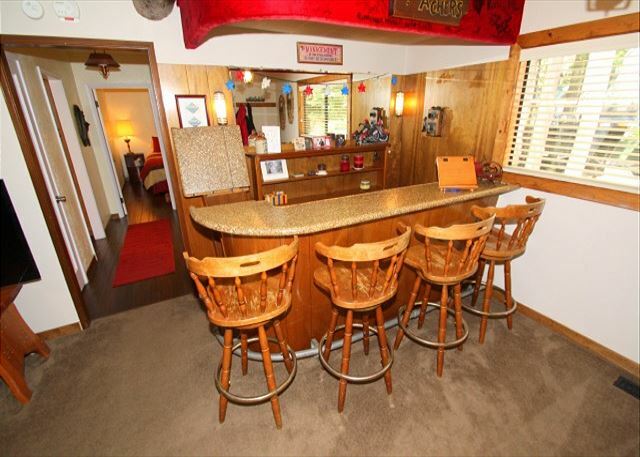 Once through the front door, you enter into the living room with a wet bar. With a wood burning fireplace and flat screen TV you and enjoy a movie from the couch or enjoy a cocktail at the wet bar with friends. In the living room is a queen size sleeper sofa. 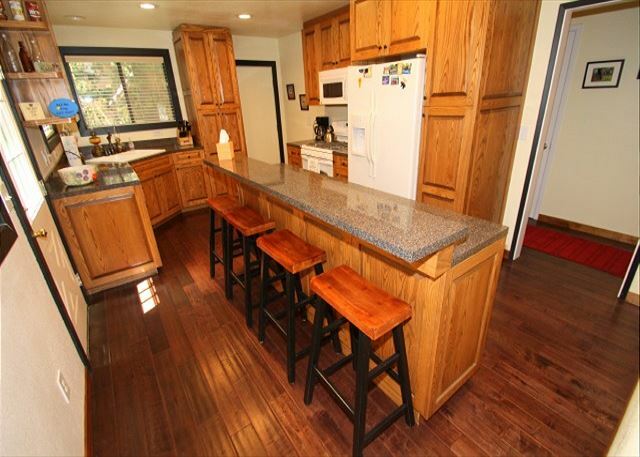 Off the living room is the kitchen with counter top seating for 4. 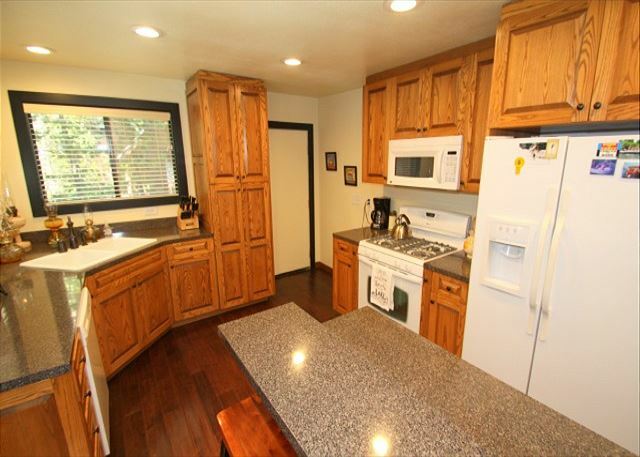 This cozy kitchen does have hardwood floors, Formica counter tops, and gas stove top and oven. From the kitchen and the living room is access to the hallway that leads to the main level bedroom and bathroom. Downstairs bedroom #1 has a queen bed. 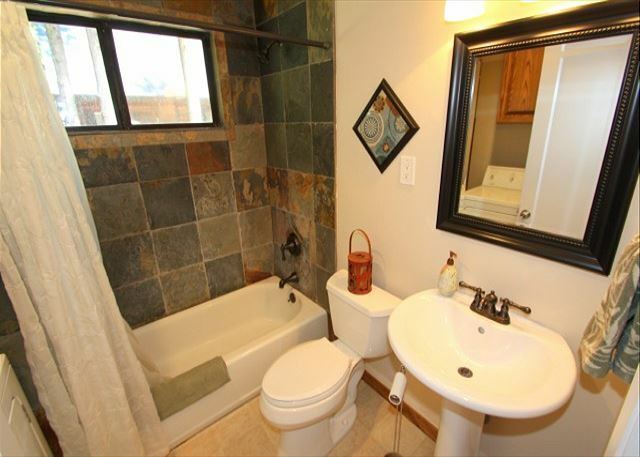 Upstairs are the remaining two bedrooms and bathroom. 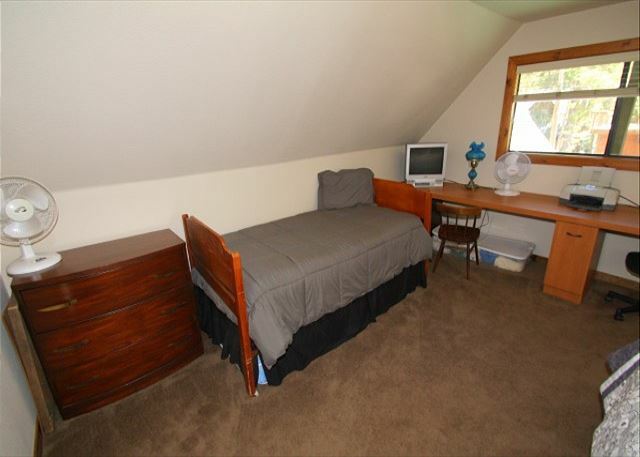 Bedroom #2 has a King bed, and bedroom#3 has a queen bed and a twin bed with a twin trundle. Winter 17/18 Ski lease with a 4 month minimum utilities not included and a snow removal contract is also required. Our units do not have sheets, pillow cases, or towels included in the rental, guests are requested to bring their own. However, we do offer linen rental service with 72 hrs notice before arrival: sheets, pillow cases, and towels at a onetime fee of $10 per person. Check in time is 3pm and check out time is 10am. **Nightly Minimum Subject to Change for Holidays** 4 night minimum for Thanksgiving, 7 night minimum for Christmas/New Year's, 3 night minimum for Martin Luther Holiday Weekend, 3 night minimum for Presidents Holiday Weekend, 3 night minimum over the 4th of July, 3 night minimum for Labor Day holiday Weekend.